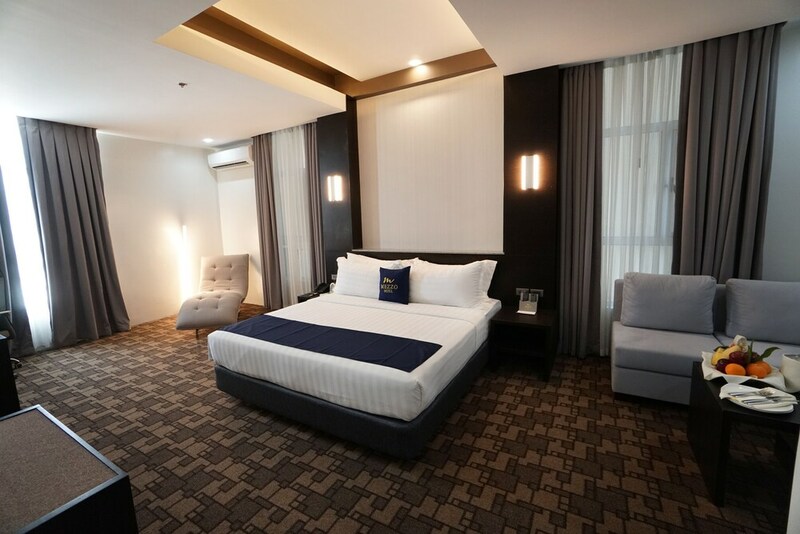 Situated in Cebu, this hotel is within 1 mi (2 km) of Carmelite Monastery, Cebu IT Park, and Cebu Business Park. Fuente Osmena Circle and Mango Square are also within 2 miles (3 km). Along with a restaurant, this smoke-free hotel has an indoor pool and a fitness centre. Free WiFi in public areas and free self parking are also provided. Other amenities include a bar/lounge, a poolside bar and a business centre. All 186 rooms provide conveniences such as fridges and electric kettles, plus complimentary wireless Internet access and LCD TVs with cable channels. Minibars, room service (during limited hours) and free local calls are among the other amenities available to guests. Mezzo Hotel features an indoor pool and a fitness centre. The hotel offers a restaurant. Guests can unwind with a drink at one of the hotel's bars, which include A poolside bar and A bar/lounge. Wireless Internet access is complimentary. This 4-star property offers access to a business centre. This business-friendly hotel also offers concierge services, dry cleaning/laundry services and room service (during limited hours). On-site self-parking is complimentary. Mezzo Hotel is a smoke-free property. Cafe Mezzo – This restaurant specialises in local and international cuisine and serves breakfast, lunch and dinner. Open daily. Ryan's Bar – This bar specialises in international cuisine and only serves light fare. Open daily. Start your morning with a buffet breakfast, available each day from 6 AM to 10 AM for a surcharge. You can order a meal from room service during limited hours. Recreational amenities at the hotel include an indoor pool and a fitness centre. Rollaway/extra beds are available for PHP 1500.0 per day.